When can I book a 2019 Disney World vacation package? 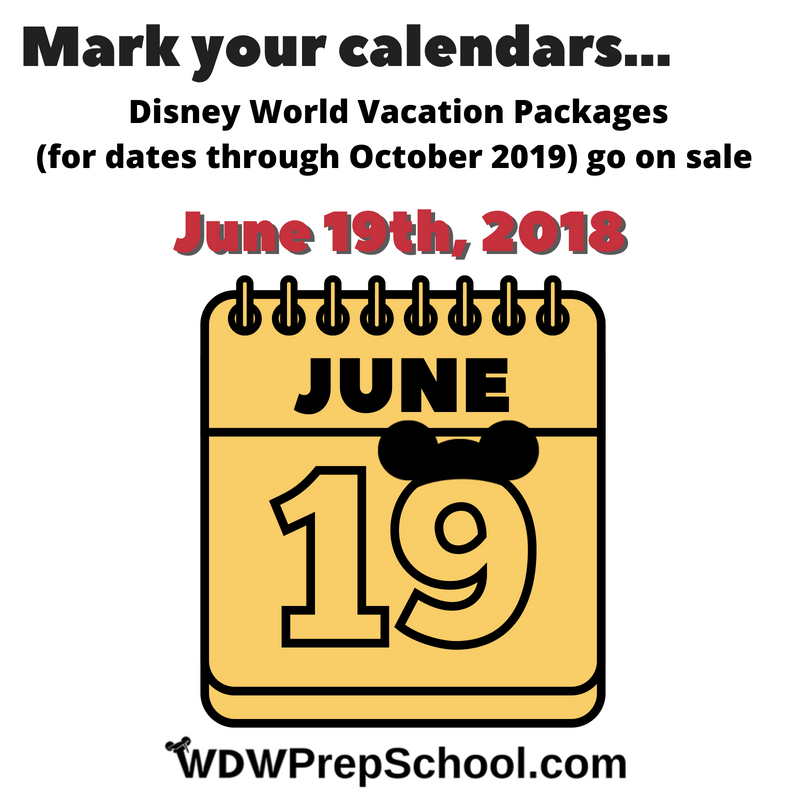 FAQs » Disney Resorts » When can I book a 2019 Disney World vacation package? 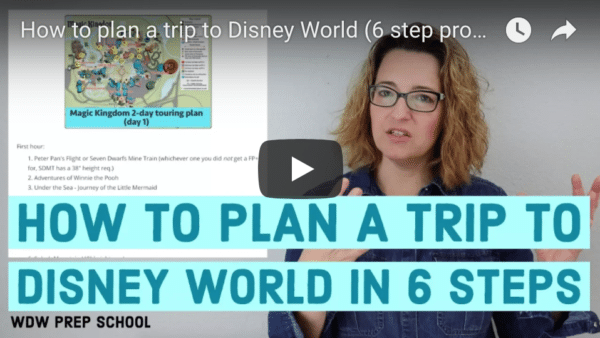 If you're reading this then you probably know that there is more planning involved for a Disney World trip than you'll find with many other vacations. With dining reservations happening at 180 days out and FastPass+ reservations happening at 60 days, you'll need to be prepared. But, when can you actually book that Disney World vacation for 2019? 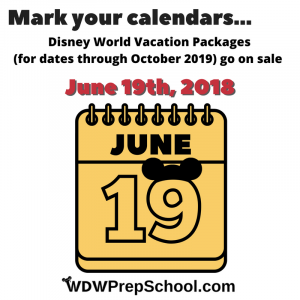 Update: 2019 Disney World Vacation Packages should be ready to book starting June 19, 2018! This initial opening for bookings will cover dates through October 2019. November and December Vacation Packages (as well as pricing) will be released at a later date. Want to find out more about the process? Check out the details below! First of all, you can book Room Only reservations 499 days in advance, but you can only do that via phone by calling (407) 939-1936. So, if your dates are next year and within that 499 day time frame, and you are only planning on doing a Room Only reservation, you can do that now by phone. If you want to book a room reservation plus tickets OR a room reservation plus tickets and Disney Dining Plan, you'll have to wait. Packages for the following year typically are released in the summer - usually mid to late June although they have been released as late as July before, too. There are many reasons why people might want to book as far out as possible. Sometimes people like to pay their vacation off a little bit at a time. The sooner the trip is booked, the sooner they can start applying payments to it. Other times people might want a highly sought after room category or location and in order to maximize the chances of snagging it, they book as soon as they can. Or, maybe you're traveling during a busy time (like the holidays) and you want to make sure you get the resort and room category you want. And then there are people like me - I just like knowing my trip is booked! It makes it feel more "real" and I like seeing it in My Disney Experience when I log-in. Even if you aren't able to book packages for the following year yet, you can still connect now with a travel agent. They'll get all your information and requests filed away and then when packages open up, they'll take care of snagging you exactly what you want. 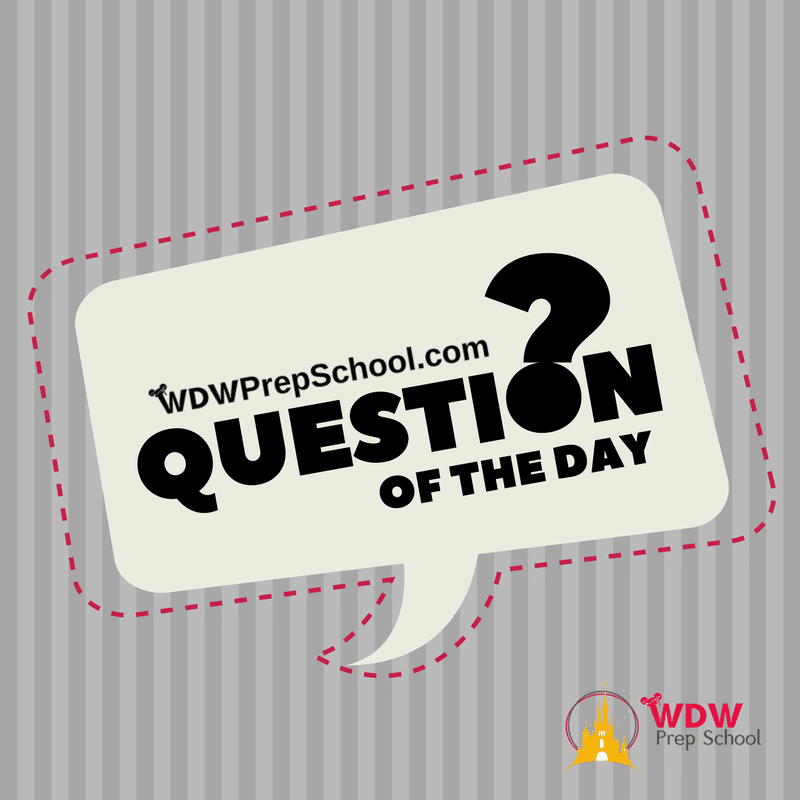 Want to compare the differences between room-only and package reservations? Read our post on How and When to Make All Disney World Reservations for more information. How do I make FastPass+ and dining reservations for somebody I'm traveling with but not on my resort reservation? Where can I book these packages? On https://disneyworld.disney.go.com/ they are still not available. Does anyone know what time you can begin booking 2019 package reservations? 12 am EST, or 6 am EST on June 19? Thanks in advance. Should be 7 a.m. eastern time. Just 1 more day! In the UK you can book for 2019 already. Please note: If you’re resident in the UK & want free Disney Dining in 2019 with $200 on site spending you’ve only got until the beginning of July to snag that deal. You can either book with a UK travel firm e.g. Virgin Holidays (other companies are available) for packages including flights, hotel & park tickets plus free dining OR hotel, park tickets & free dining directly through the Disney website (book your own flights later when they are released later in the year if not yet available for when you plan to travel)..
Is it possible to book room only now and transition to a package when they are available to ensure room selection? I called Disney about this a couple weeks ago and they confirmed that when you convert a room only reservation to a package, that you will retain the room type once the conversion is complete. What about for bounceback offers? How far in advance can you book?